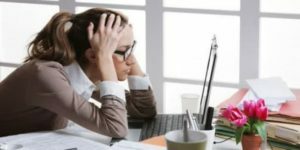 Scheduling Retail Technology Deployments Stressing You Out? Imagine you work for a national retailer and your boss calls you into their office to give you a new project. They need to quickly update all the wireless infrastructure in the entire portfolio of 2,000 stores and you have six months to complete! You have to complete a site survey, implementation review, configure equipment, ship equipment, and conduct a 3-day call-ahead PRIOR to the install. Afterwards the old equipment must be picked up from the store. After you regain your balance (and your head stops spinning) you start doing some rough math. Assuming there are four weeks in every month that gives you 24 weeks total (not accounting for holidays or blackout periods) which ends up being roughly 84 installs a week. Also assuming you can deploy five days a week, that’s 17 deployments a day! Stressed yet? Wait! Think about this. If there are seven major milestones that have to be completed before, during, and after the install, that’s 14,000 scheduling milestones that have to be tracked throughout the life of the project! Just wow! Does this sounds like the challenges you face? Here are my suggestions for developing and managing this type of deployment schedule. Do you develop the schedule based on the availability of Deployment Technicians, the desires of the sites, geography, etc.? Each driver presents is own associated challenges. It is important to understand what criteria to use when developing the schedule. I know this sounds obvious, but you would be surprised how much disagreement there can be in establishing these dates. 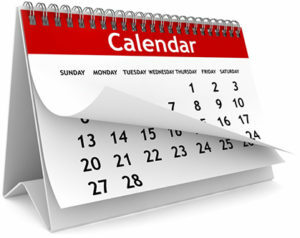 Make sure you get precise dates and that everyone agrees on the dates before preparing the schedule. Before you prepare the schedule, make sure you have a COMPLETE list of all sites to be deployed along with the associated physical address. Identify any locations that may require special accommodations or may require additional expenses due to the remote location of the Site. For example Alaska, Hawaii, and Guam may require flying in a resource if a local resource cannot be acquired locally. Clearly define the days and hours during which the deployment work can be completed. For example, most retailers dictate that work can only be done Monday through Thursday, 8:00 AM to 5:00 PM local time. If it is a 24-hour location, they may allow for deployments Sunday through Thursday, 9:00 PM to 6:00 AM local time. Any blackout periods should be clearly defined for all locations and specific locations. Retailers typically don’t allow for any deployments in their stores from Black Friday (the day after Thanksgiving) until the second week of January (the period after Christmas reserved for higher traffic for returns as well as after Christmas sales). Regional or local blackout periods can be times where there is a large event that impacts a few locations. The retailer does not want traffic potentially impeded during this busy time. Examples include: Marti Gras in New Orleans, Indianapolis 500 in Indianapolis, Kentucky Derby in Louisville, etc. 1. Pilot Period – This is the period where the first deployments are executed to vet the installation process and confirm time to task estimates that may have been created earlier in the deployment planning phase. 2. Ramp Up Period – This is a period of time where the number of installations per day / week / month steadily increases until the maximum number of deployments per period is reached. 3. Maximum Deployments Per Period – This is the maximum number of deployments per period that can be scheduled and lasts until the Maximum can no longer be reached. In order to construct the deployment schedule you must have a complete listing of all resources that are available. Also, where they are physically being dispatched from, if not from one location. Milestones are used to develop the T- schedule. You must evaluate the entire deployment process and identify each milestone that should be tracked on the deployment schedule. By tracking these milestones on the schedule you can ensure that a missed event will become apparent immediately. Allowing time to handle the missed event and keep the remainder of the schedule on track. 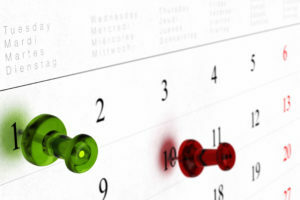 Ultimately, the schedule is the heart of the Retail Deployment operations. Make sure you understand every aspect to be considered and everything that must be tracked against the schedule. Do everything in your power to make all Team Members adhere to the established schedule.